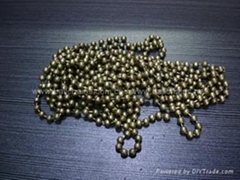 T&F Metal Accessories Co.,Ltd. 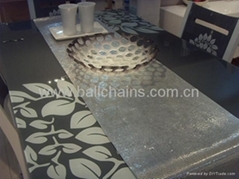 is established in 2006,which specialized in the production of metal ornament chains and other metal products.such as BALL CHAIN,BEAD CHAIN,ROPE CHAIN,ALUMINUM CHAIN,DOUBLE CHAIN,METAL MESH(GARMENTS ACCESSORIES)..and different kinds of KEY RING,CLASP and LOBSTER CLASP. our main market is USA and delivery directly to USA DIY fashion jewelry shops.you can find a lot of products from here,such as jump rings,key rings,all kinds of fashion chains,connectors&closuer. now we need some oversea agent in each country and we can help you to promote our goods in your local place with some free samples and good factory directly price to meet your local customer. Customers from all over the world are warmly welcomed cooperate with us!